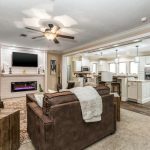 Manufactured Homes | Which Comes First: Manufactured Home, Or Placement Site? 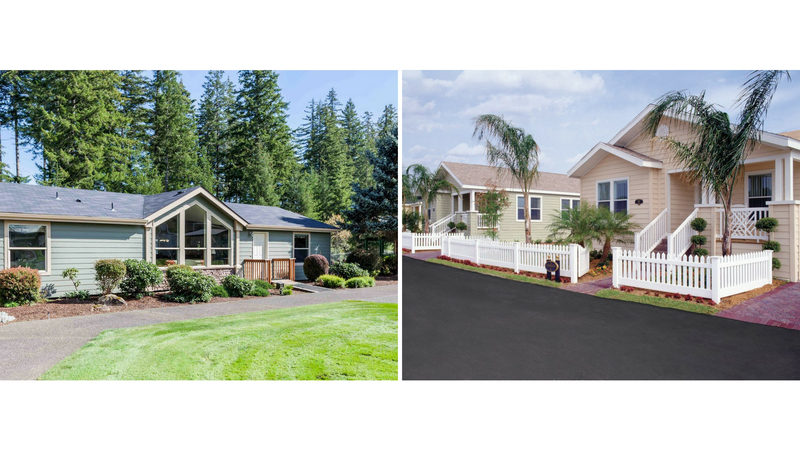 Home » Which Comes First: Manufactured Home, Or Placement Site? “Putting the cart before the horse” is occasionally applicable to purchasers of new manufactured homes. 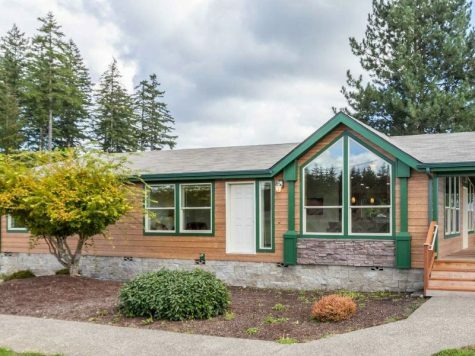 This is understandable — it’s easy fall in love with a beautiful, modern manufactured home and enter into a purchase agreement before knowing where that home will be installed. Where the home is to be sited is an important consideration, and it should be addressed simultaneously with the purchase. The purchase of a new manufactured home should be contingent upon locating a home site in a geographical area acceptable to you. Most manufactured home retailers will assist you in locating that special site. The site you choose, and the way your home is installed there, will determine your total financial consideration and the type of loans available. In the United States, 65 percent of manufactured housing residents who own their home also own the land it’s placed on — more often than not in rural areas. Historically, 25-30 percent of manufactured homes have been placed within manufactured home land-lease communities. We’ll address the private property option first, and then move on to the community option. 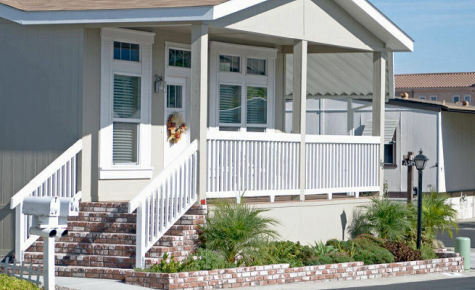 Along the way, we’ve provided helpful links to other articles we’ve written that provide more in-depth information on what to expect with each of these manufactured home placement options. Not all land is the same. In fact, some lots and acreage have specific building codes that may limit manufactured home placements or determine the type of installation. The most common manufactured home installation in rural areas is to set up the home using a support block or pier method. This is the least expensive set-up system, and it’s normally included in the price of the home you have selected. Financing of a manufactured home that is not attached to real property, known as a “Home Only” or Chattel loan, is more costly as the loan is not secured by real estate. However, the cost of preparing to move in is lower, and moving in takes less time. In fact, two thirds of manufactured homes financed on property owned by the homebuyers opt for “Home Only” financing, not encumbering the land. In some regions — usually, those nearby metropolitan areas — the local housing authorities may require the manufactured home to be installed utilizing a foundation system, whereby the home is attached to real estate. With this method of installation, the home becomes affixed to real property, in the same way a site-built home would. With the land as additional security for the lender, this means lower cost “Land Home” manufactured home financing is available. However, the cost of site preparation and the foundation system is more expensive, and it will take longer to ready your home for occupancy. Check out our report, Finding Land For Your Manufactured Home: Pitfalls To Watch Out For, for more information. 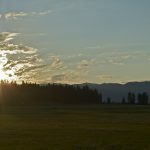 We also suggest you visit our blog, Manufactured Homes: Anticipating Utility Service Requirements On Your Private Property. If you intend to locate in a land-lease manufactured home community, one of the first things you’ll want to do is contact the management office and check on the availability of sites for your new home. The community can inform you about the sizes of homes their sites will accommodate. They may also have some aesthetic requirements for the homes in their community, such as exterior accessories, roof pitch, roofing material, siding, or other features of the home’s appearance. Before signing a rental agreement, obtain written copies of the community’s rules and requirements, age restrictions, policy regarding pets, parking, rent increases, trash service, utilities, and restrictions on use of facilities. Installation and financing of a manufactured home in a rental community uses the “Home Only,” Chattel loan method. Unlike with private property, there is little expense — or none at all — for site preparation. For more information, check out our previous report, Land-Lease Manufactured Home Communities: What To Expect.